This quilt truly is amazingly awesome! I love the colors, the design and the dimension the design gives it. Truly lovely work Melissa! Awesome to get your Picture with Denise at Quilt Market! Love your Off Kilter Rainbow! That is one beautiful quilt! 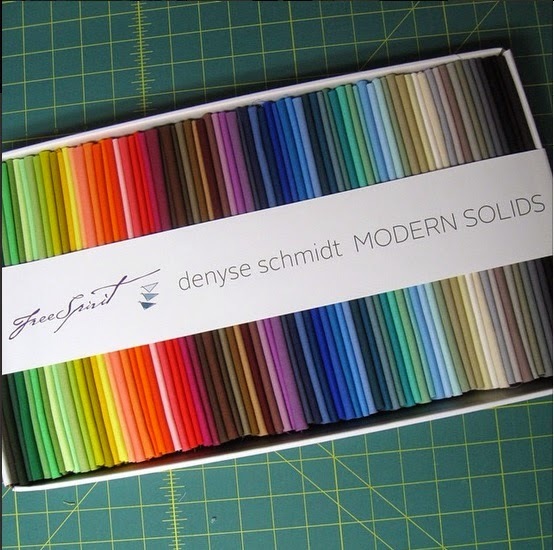 I love solids and color gradations, and you arranged them well. 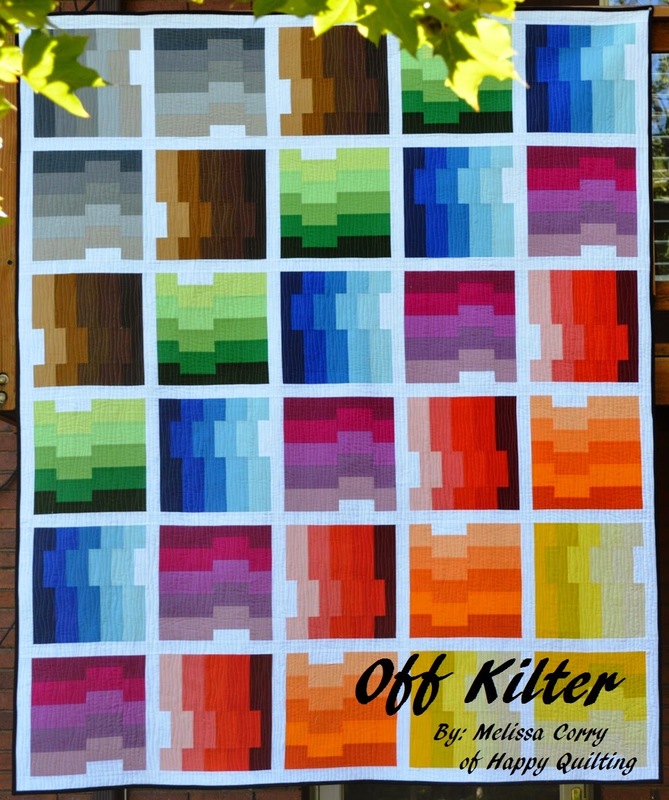 Off Kilter is amazing Melissa! What a great honor to be asked to bring it to Quilt Market! And how fun that you got to meet Denise like that! I love it! So pretty and such great color play! Love this quilt - you did a fabulous job of creating it!!! Totally cool that it got to hang in the Free Spirit booth at Market!!! what a wonderful quilt such a great colour range, wonder what I wll vote for well that is easy decision made! hey I have a question ... do you have EQ 6 or 7? Is there a big difference? Looking at them and am having a tough time finding out what upgrades were! This gets my vote. Like so many great designs it has a cleaness and simplicity about it and is yet very effective. Oooooh, this is so cool! It's really hard to design a quilt with a predetermined set of colors like that. I sure wouldn't have been able to do it, and this is really innovative and original! Love!